The one-time starting quarterback of Notre Dame will be suiting up for the University of Central Florida Knights this fall. Brandon Wimbush announced the transfer via social media Tuesday, saying he was thankful for the opportunity to play for the Fighting Irish, but that he was excited for the next chapter in his football career. 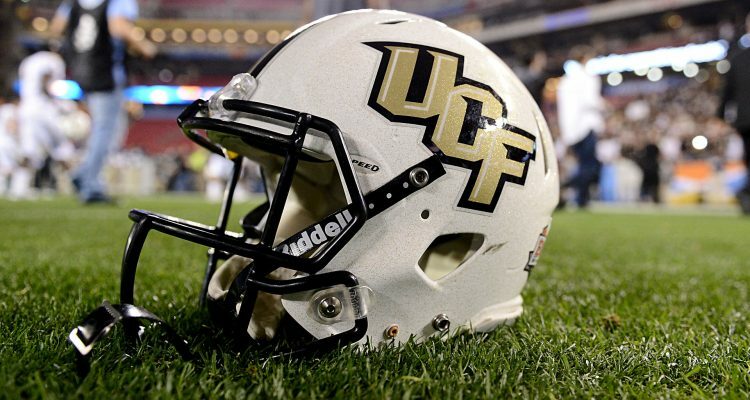 “I am excited to announce that UCF has granted me an awesome opportunity to play my last year of collegiate football for their great University. 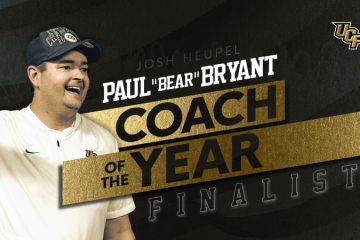 Thank you to Coach [Josh] Heupel and Coach [Jeff] Lebby for this incredible opportunity. Looking forward to winning em all,” he wrote. Wimbush was the starting QB for Notre Dame in the 2017 season, leading the team to a 9-3 record capped off by a win over the LSU Tigres in the Citrus Bowl. Wimbush also played the first three games of the Irish’s 2018 campaign before he was sidelined in favor of Junior QB Ian Book. In 2017, Wimbush completed half his passes for 1,870 yards, 16 touchdowns and six interceptions. In the first three games of this season, he threw for 589 yards, one touchdown and four interceptions. He added another 3 TDs and 130 yards when he came off the bench in Notre Dame’s home finale against Florida State. He joins a roster that includes McKenzie Milton, who could be the starter next year depending on how well he recovers from the injury he suffered in the Knights’ final regular season game against the South Florida Bulls. His backup, Darriel Mack Jr., put on a clinic during the American Conference championship game against the Memphis Tigers, though he couldn’t muster the same magic against LSU in the Fiesta Bowl. 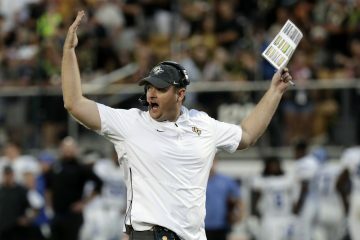 UCF is also welcoming a prized recruit in Dillon Gabriel this fall. The Hawaiian QB was named the Hawaii Gatorade Player of the Year and is a soon-to-be alum of the same high school as Milton.